L. Chris Stewart is Managing Partner of Stewart, Seay & Felton Trial Attorneys, a personal injury litigation law firm. Chris focuses primarily on cases related to auto/trucking collisions, wrongful death, and premises liability with a specialty in sexual assault. Chris has received multiple jury verdicts and settlements for millions of dollars for his clients including one of the largest premises liability verdicts of 2010 in the state of Georgia, a record $5.1 million pre-trial settlement in 2011 and a 2013 Camden County record jury verdict of $1.5 million for sexual assault, which was followed four days later by a six figure slip and fall verdict in Hall County. In 2014, Chris received a $2 million dollar settlement for sexual assault as well as represented clients in a $75 million dollar class action settlement. Chris is also recognized worldwide for his civil right cases including the Walter Scott case and the Bryant Heyward case, both in Charleston, South Carolina. Chris is regarded as one of Georgia’s top injury trial lawyers. 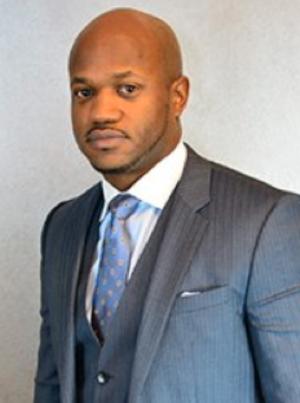 In 2014, Chris received the Esquire Award from the National Bar Association’s Small Firms/Solo Practitioners Division for his professional achievements, numerous political/social causes affecting the African-American community, and mentorship of other attorneys. He was selected as a 2011-2015 Super Lawyer for the State of Georgia. In addition, in 2012 Chris was named on the Atlanta Business Chronicle’s list of Who’s Who in Law as a top Georgia attorney. He was also a finalist for Nation’s Best Advocates: 40 Lawyers under 40, selected for the Georgia Trial Lawyers Association’s LEAD program for most promising future leaders in law. Chris is also a member of the Atlanta Bar Association Judicial Selection and Tenure Committee. Chris formerly worked for the law firm of Morgan & Morgan where at the age of 29 he made partner. While at Morgan & Morgan, Chris represented over 2500 clients and has the Atlanta offices largest jury verdict. Chris has litigated cases in over twenty-five counties in Georgia and has taken over 1500 depositions. Chris has taught a variety of legal education seminars for practicing attorneys including how to handle personal injury cases, trial demonstrations, advertising with social media and how to manage your social media presence. Chris has been featured in numerous local, national, and international media such as ABC, NBC, CBS, Upscale magazine, Rolling Out magazine and The Daily Report. Born and raised in Southwest Atlanta, Chris is extremely active in the Atlanta community. He tutored at Perkerson Elementary School and is Co-Chair of “If you can see it, you can be it,” a program focused on motivating inner city elementary school children to become lawyers. He also served on the Board of Directors for the Villages at Carver YMCA, as Regional Director for Region XI (Georgia, Florida & Alabama) of the National Bar Association, and as the 2011-2012 President of the Gate City Bar Association, Georgia’s largest and oldest African American Bar Association as well as being a 2014 Board Member of the Southern Center for Human Rights. A member of Kappa Alpha Psi Fraternity Incorporated, Chris earned a bachelor’s degree in Psychology with honors from Xavier University, a Master’s of Science in Public Health from Tulane University and his Juris Doctorate from Howard University School of Law.